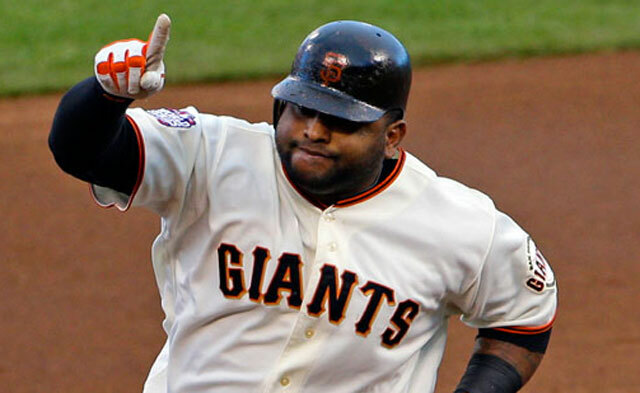 Pablo Sandoval and the Giants were number one, three times. On the heels of the rumored Hanley Ramirez signing by Boston, CBS Sports’ Jon Heyman is reporting that the Red Sox have signed third baseman Pablo Sandoval to a five year, $100MM contract. The Red Sox went from World Series winners in 2013 to last place in the AL East this past Summer. One of the biggest concerns was team defense, something the Red Sox have prided themselves on over the years. With shortstop Xander Bogaerts and third baseman Will Middlebrooks struggling on defense and offense, GM Ben Cherington has made a big splash by replacing the left side of his infield. Sandoval had been rumored for over a week to be headed to Boston and it appears to now be true. The San Francisco Giants were thought to still be in the race to resign him, but with concerns about his conditioning and diluted offense, they had decided they wouldn’t overpay Sandoval just to keep him. The Red Sox are taking a gamble for sure – while his defense has been excellent – the big guy’s offense does not merit a $20MM per year contract. (The Red Sox have definitely followed the Yankees’ Jacoby Ellsbury signing model – overpay to blow away the competition.) Over the last three regular seasons, Sandoval’s OPS has been .789, .758, and .739. His slugging pct. went from .447 in 2012 to .415 this past season. He will be a decent addition for getting on base – he hit around .280 with 40 walks the last three years – but as a left-handed hitter he’ll need to adjust to Fenway Park. The 28-year old was signed by the Giants in 2003 and made his debut five years later. 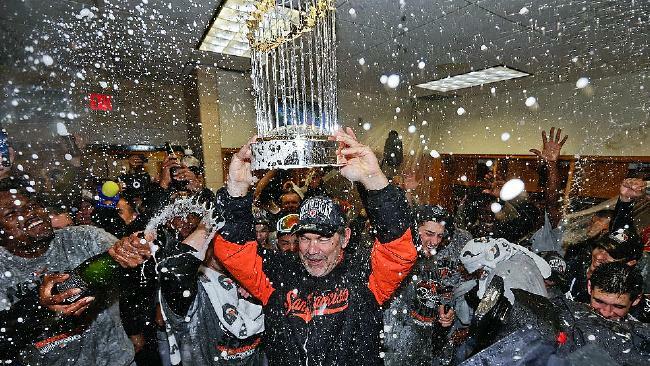 He was on all three Giants’ World Series championships in the last five seasons. He’s 20-44 (.455) in the last two World Series combined with 3 HR and 8 RBI in 11 games. The two signings by Boston could mean they won’t be able to bring back their ace Jon Lester. The left-hander was dealt to Oakland at the trade deadline this past season. Boston is more likely to turn to a less expensive alternative such as James Shields or Ervin Santana to help fill out their starting rotation. While Middlebrooks does not have much trade value, Boston will likely deal Bogaerts to add some pitching.